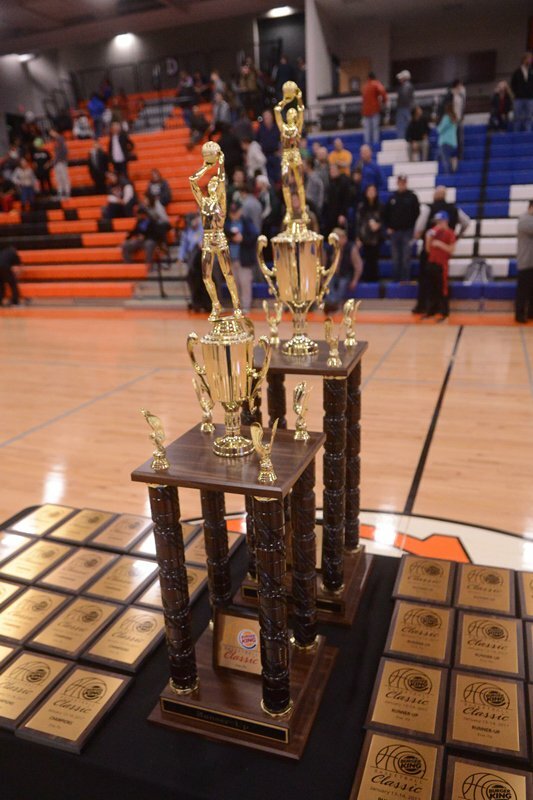 The 35th Annual Burger King Classic, the number one four team basketball tournament in the nation according to MaxPreps will be held at the Cathedral Prep Events Center starting tonight, Friday, Jan. 12, and concluding on Saturday night. This year’s tournaments hosts three elite out-of-town opponents: St. John’s College High School from Washington D.C., St. Rita’s from Chicago, and All Hallows High School from the Bronx in New York. The first match up of this year’s tournament debuts St. John’s College High School and All Hallows High School. They will tip off at 6 p.m. The host Cathedral Prep Ramblers will tip off against St. Rita’s in the second game, with tipoff scheduled for 7:30 p.m. All games will be available on live stream throughout the weekend. St. John’s is a powerhouse team that relies on its deep roster to help them win games. They feature Casey Morsell, a 6’2″ guard that looks to be the leader of this program. He has already picked up attention from Georgetown, Oklahoma State, and Virginia, and he is only a junior. On the floor with Morsell will be 6’0″ senior point guard Tre Wood, who signed with Massachusetts. Richard Njoku, the 6’6″ center will be the big man on the floor for St. John’s, and he will play at the Naval Academy next fall. Sophomore guard Darius Maddox will look to provide a huge boost off the bench already reviving an offer from UMass. 6’3″ junior guard Nick Johnson has already been offered by Division I Drexel and Manhattan while 5’11″ senior guard Donald Hartley is also getting college attention. All Hallows High School boasts 6’3″ junior guard Nick Johnson. He is the main factor in St. Rita’s court presence, and that hasn’t gone unnoticed. He has been offered by Division I Drexel and Manhattan already. Donald Hartley, the 5’11” guard who plays alongside Johnson, is also getting college attention. The 7:30 p.m. game will pit St. Rita’s against the Cathedral Prep Rambler basketball team. Led by 6’7″ junior Jeremiah Oden, St. Rita’s will look to give the Ramblers all they can handle. His play has earned him offers from Villanova and Michigan already. He will lead a young group of talent against the Ramblers. Prep heads into this tournament for the 35th year, having claimed the title three times. Led by Adam Upperman, Aaron McBride, Tommy Russo and Joe Mischler, the Ramblers will look to make some noise this year. After an up and down season so far they look for the tournament to be a positive move in the right direction heading into the rest of their season. Also on the floor for Prep is 6’6″ center Josh Charlery who is a transfer from the Virgin Islands. Look for the 2018 edition of the Burger King Classic to feature some exciting basketball on display as some of the best teams and players on the east coast duke it out for the title this weekend at the Burger King Classic.